Data Analysis is a pretty new area in floorball but as the sport is growing quickly analyzing data from the game is trying to catch up. 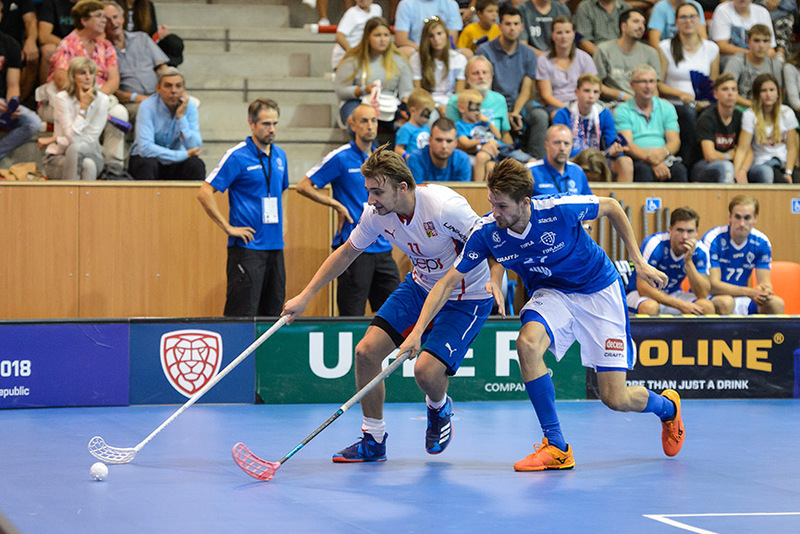 This article attempts to summarize and explain what happened during the recent Euro Floorball Tour men game between the Czech republic and Finland (ended by score of 0-4) by using the data and its analysis. Aim of the analysis should be searching for measurable variables of the game that are linked to winning therefore are relevant to observe. Statistics such as goals, shots on goals or blocked shots do not bring reliable information to cover the game closely. In this analysis we shift our focus to measure both quantity and also quality of each possession in the game. This approach should serve as a fundamental piece in understanding modern floorball. Let´s take it slowly in this article. First of all we need to all understand what are the definitions of used variables. Why these? It took more than two years to study what variables in floorball seems to be relevant for successful teams. We did measure isolated variables such as detailed shot attempts, turnovers, ability of keeping the ball in offense and other details for players. Measuring type and quality of possessions seems to be the way of analyzing the game now. There will be an article on this. Okay, let´s look at the game by numbers. Why the title? Shot attempts in the game were 40-45 for Finland. Czechs should have scored more than zero goals so why the clear verdict? Finland was much stronger in relevant aspects of the game. Look at the first comparison. Czech team was able to generate little more slow attacks (51-46) but had less quick attacks (18-24) and turnover possessions (6-7). Overall we can not see much explained by this. We shift our focus to quality of these possessions. Ability to create clear path opportunities for shooters, odd-man rushes and also ability to create cross field pass openings are these of our interest. From the graph above we clearly see that Finland was able to outnumber the Czech team 14-26 in terms of clear path opportunities. Finland also created more odd man rushes (7-12) and had much more cross field pass openings (10-25). These are all quality aspects of good teams. Lastly on team level look at execution shares of some situations. Again, Finland dominated the game. There were able to execute a high share of clear paths (65%). I will comment on last two columns. 7-12 was a score of odd man rush opportunities in the game. Czechs were able only in two (makes 29% of a share) occasions to generate clear path to the net, Fins created 8 (makes 67% of a share) clear paths in these situations. That is a quality difference. Modern floorball is not decided on quantity of shot attempts as well as possessions but quality of them. Lastly we can dig into players performances looking from the same perspective. We selected two variables for players in the graph. Cross field pass opportunities differential being the first one and shown on vertical axis. First finnish line (Vaananen, Stenfors, Manninen, Kapanen, Kotilainen) was able to yield around 10 more cross pass opportunities in the game than their opponents. Garcar, Sesulka, Delong, Gruber, Vales and Hajek were able to post respectable numbers in that category for czech side too. Horizontal axis reflects clear path opportunities differential and finnish strength is apparent. Again Delong, Gruber and Vales were solid for the Czech republic in this regard. When we look at shot attempts that corresponds more to activity in finishing plays we discover that third finnish line (Talvitie, Junkkarinen, Kainulainen J, Kainulainen V, Lastikka) has the most positive differential of 8. This statistics is called Corsi (found in ice hockey).